Nigeria’s Defence Headquarters, DHQ, has reacted to the claim of Amnesty International, AI, that the Nigerian military and the police engaged in horrific use of excessive force that led to the killing of members of the Islamic Movement in Nigeria (IMN), popularly known as Shi’ites, during “peaceful” protests. A statement from the Acting Director, Defence Information, Brigadier-General John Agim, on Friday, said the worrisome narrative of AI in matters of national security and cohesion of Nigeria has continued unabated in spite of verifiable evidences to the contrary. “The Amnesty international’s hate and disdain for peaceful co-existence of Nigerians is manifested in the ways it consistently fabricates lies and gives negative narrative of issues related to Nigeria’s national security and its military. The AI report is not a true reflection of what transpired in the last few days. “For the sake of the good people of Nigeria and the international community who quest for the truth, what the AI “cooked up” in that report is a figment of its own imagination to further paint Nigeria black among the comity of nations. The military has never been sent to stop the protesting Shi’ites group at any given time. On the events referred to by the AI, the soldiers were not after the protesting Shi’ites, neither was there such number of casualties. “Instead, a convoy from the Army Headquarters Garrison Abuja was conducting a routine shipment of ammunition and missiles to a military formation in Kaduna escorted by troops when they ran into the protesters at Zuba in FCT. “The protesting Shi’ites prevented the convoy from proceeding on its mission but rather attempted to overrun the escorts to cart away the shipment. Hence, the troops had to protect the goods and extricate themselves from the imminent mob action by applying minimum force. “The following day, the IMN also had another confrontation with the military at a popular checkpoint along Nyanya – Mararaba road leading into the FCT. Everyone living in or transiting the FCT knows that the military checkpoint had been established since 2014 after the Boko Haram Terrorist attack on Nyanya Motor Park. “Unfortunately, the group tried to overrun the checkpoint in which the military resisted. In all these attacks, the IMN was the aggressor while the military only acted in self defence. 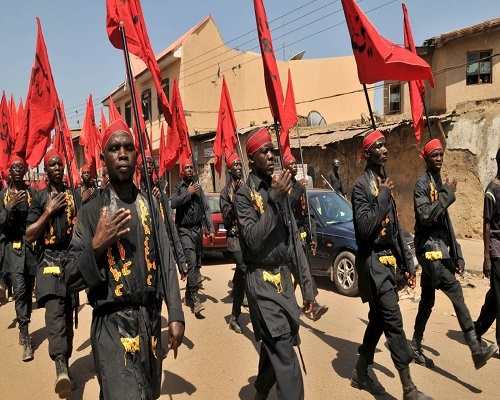 The Shi’ites actions were planned and premeditated as the group were aware of the existence of the military checkpoint and were prepared to confront the soldiers. “The casualty of IMN stands at 4 wounded and 3 dead at Zuba while at the Nyanya – Mararaba road checkpoint, 3 died with 3 wounded. The military also had 6 of its personnel seriously wounded and currently at intensive care,” the statement read. The DHQ reiterated its earlier position that the narratives of AI are outright falsehoods and calculated attempts at whipping up sentiments and misleading unsuspecting Nigerians as well as demoralizing friendly nations. “The organization has continued to churn out reports that are outside the confines of the principles of objectivity, truth and balance reportage which provides all sides to the story the way it happened. Sadly, AI’s past activities in Nigeria and its negative reportorial of the Nigerian Armed Forces is capable of emboldening the IMN in its unwholesome activities. “Also, what AI is doing could stop friendly nations from collaborating with Nigeria in its war against insurgency. The intentions of AI in Nigeria have remained suspect as the organization is always silent on the other side of issues. “Nigerians who witnessed how military troops on legitimate duty came under unprovoked attacks from IMN members both in Zuba area of the FCT on Sunday, 28 October 2018 and at a security checkpoint in Mararaba, Nasarawa State on Monday, 29 October 2018 have videos and images of wounded soldiers and damaged military vehicles with audio commentaries. “These are available in the public domain. Unfortunately, Amnesty International did not see anything wrong with these unprovoked subversive attacks on Nigerian military and other innocent passersby but was quick to refer to the activities of IMN from whom dangerous weapons and ammunition including Improvised Explosive Devices (IED), guns, knives and cutlasses were recovered as a peaceful protest. 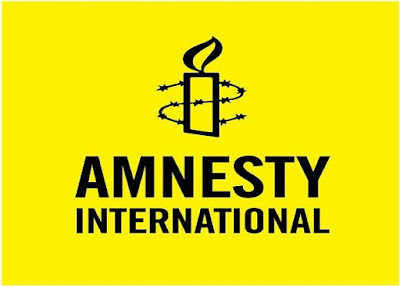 “This goes further to prove the point that Amnesty International does not mean well for Nigeria. This is also in tandem with their previous reputation of denigrating the security forces anytime they make gains against the forces of evil to incite the Nigerian public and international community against the Military. “The Defence Headquarters wishes to appeal to the general public and the international community not to be carried away with AI’s usual falsehood and blackmail which is calculated towards promoting the forces of darkness to destabilize Nigeria,” Agim said.